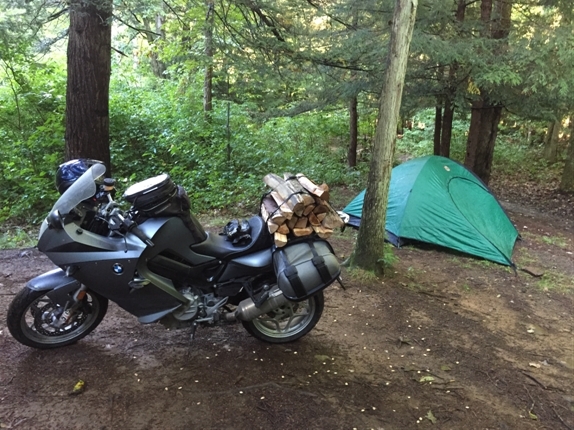 If you're interested in contributing to the Two Tents blog, please reach out to submissions@bmwmoa.org. Thanks! It is quiet, except for the birds, some leaves rustling above, the crackle of a nearby campfire. It smells like spring, fresh and crisp, slightly floral with a smoky finish. A quick glance around reveals a single person tent, a JetBoil, a well used Kermit Chair, and the bike. A walk over to the bike to grab another, patting your hand on the pillion seat. What a machine, she got you up this sketchy road with all the kit you need to enjoy an evening in the wild. She will protect your gear while you sleep, and launch like a lion in the morning. As company goes, the bike is a solid travel companion. She doesn’t look bad in the firelight either. Hi, Kurtis here. Thanks for checking out the new blog! I will be collaborating with Jon to develop a voice for the motorcycle camping community and for those who wish to explore the hobby. I am a midwest native who is planted in the DC metro area. I am the President of the local MOA Chapter #40, the BMW Bikers of Metropolitan Washington, and co-organizer of the 42-year-old Square Route Rally in the hills of Maryland. I am an avid hiker, runner, and practicing yogi. I am a tech entrepreneur with a wicked hipster beard who likes to disappear on weekends to the hills of the Shenandoah. I like the minimalism and simplicity of motorcycle camping or “moto-camping” and have years of experience outfitting for the task. I hope to share some of my thoughts, opinions and experiences here. I welcome your feedback and participation. Having grown up in the land of corn and soybeans, I didn’t really discover the joy of hiking and camping until my wife and I moved to Boston. I was quickly enamored with the weekend rides to the white mountains in New Hampshire where we would pitch a tent, cook over the campfire, and hike trails. It wasn’t just the nature experience that drove me, but also the minimalism that moto-camping requires. As a reformed engineer, I continually find satisfaction in the process of packing the bike, organizing the panniers, charting the destination. I suspect that a similar vein runs through the BMW community. 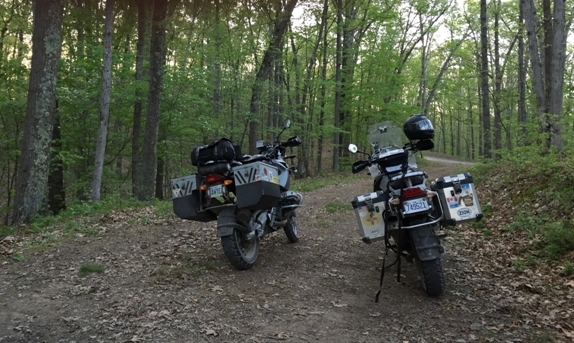 I see my fellow Beemer riders parked at the campgrounds, I pass them and wave in the forest service or BLM space. It is likely that the BMW community’s proclivity to ride their bikes to the wilderness and sleep under the stars is rooted in the same engineering, minimalistic tendencies. I raise my flask to you, hope to share some stories fireside. 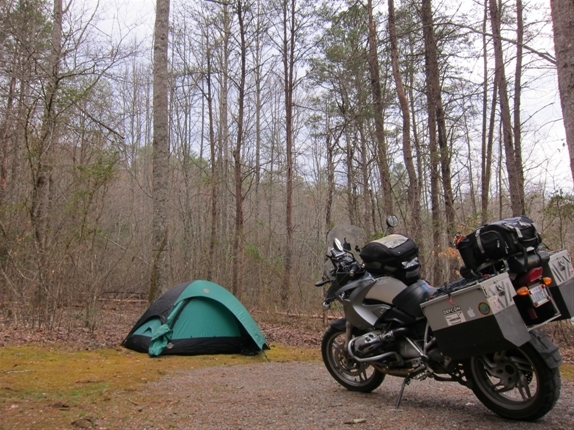 In future posts I will focus on what the basic requirements are to enjoying motorcycle camping. I will share stories, and discuss products that have and have not worked for me in the field. I plan to talk about some of my favorite destinations and experiences. Please send me a note (or leave a comment below) and ask questions, suggest topics, tell me what has worked for you on your trips. I love to hear your stories.